NEW DELHI: Mohammad Nabi said Afghanistan’s spinners would be a handful at the cricket World Cup after their experiences playing in England and in the cauldron of the Indian Premier League. The 34-year-old batting all-rounder will form a potent spin attack with Rashid Khan and Mujeeb Ur Rahman at the World Cup, with all three currently contesting the high-pressure IPL. Nabi and Khan also played for Leicestershire Foxes and Sussex Sharks respectively in England’s T20 Blast last year, while Rahman has been signed by Middlesex for the coming season. “Ours is a good combination because Rashid and Mujeeb are wicket-taking bowlers and I am more defensive, bowling a lot of dot balls,” Nabi, who plays for Sunrisers Hyderabad, told AFP in an interview. “It was a great experience for us and was of big help,” he said of last year’s T20 Blast. “Rashid and I bowled really well and he also batted well. “We will quickly get adjusted to the conditions there hopefully,” added Nabi, who will represent Kent in this year’s 20-over contest. While most of the Afghan team are at a training camp in South Africa, the spinners are all warming up for the 50-over World Cup in the IPL. Both Nabi and Khan have starred in Hyderabad’s campaign, and 18-year-old Rahman is playing for Kings XI Punjab. 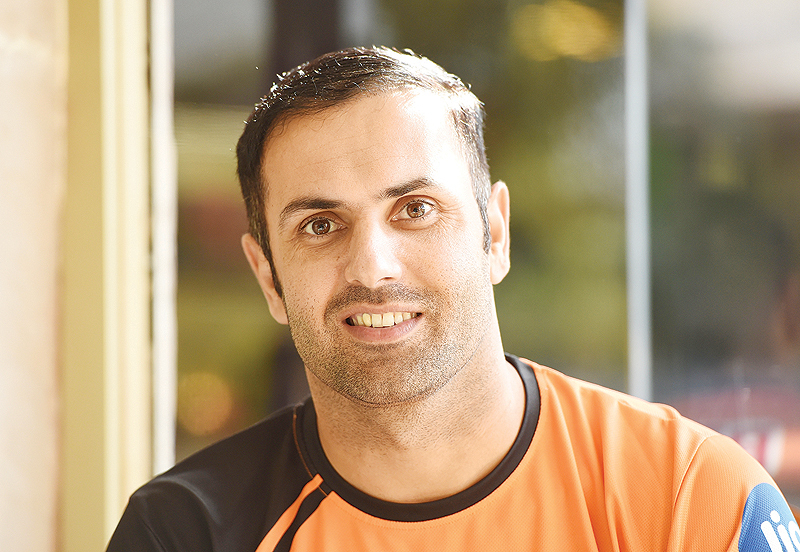 But Nabi said the IPL, with its big crowds and tight games, was great preparation for the World Cup despite the differences between T20 and 50-over cricket. “The IPL helps a lot,” Nabi said. “If you play these kind of pressure games before the World Cup it will help a lot in the tournament against top opposition teams.” “It is a white-ball format after all. Yes it is a change of format but you can adjust easily to the 50-over game,” he added. Nabi’s seven wickets from less than 16 overs, conceding a parsimonious 87 runs, has made him one of the top 10 bowlers in this year’s IPL. He will now hope to take that form into the World Cup, where Afghanistan face a daunting opener against defending champions Australia on June 1. The strong middle-order batsman has been at the centre of Afghanistan’s fairytale rise, captaining the side at their first World Cup in 2015. But while many Afghanistan players learned the game in refugee camps in Pakistan, Nabi hails from a wealthy Afghan family that lived in Pakistan during the Soviet invasion.